Like how much they really cost. Healthy relationships, especially in marriage, require a lot of work and patience in order to be a happy and succesful. But what happens when things suddenly don't go according to plan? It could be that someone was unfaithful, there was abuse, or the marriage simply isn't working and you want out. 1. What exactly does it mean to be annulled? And how does it differ from legal separation? When one is annulled, it means the marriage has been dissolved. Your status prior to marriage returns. You are once again single, and may remarry. Assets are divided between spouses, by agreement or by law. On the other hand, spouses who are legally separated, remain married. Only the spouses' right to live together and property relations are suspended. This means that the spouses may live apart and handle their finances separately. Both parties cannot remarry. If they do so, he/she may be charged with adultery/concubinage. However, in both instances, property relations end. The debt of one remains his/her debt. Real properties owned in common may be divided or sold, and the proceeds divided equally. Either spouse may acquire new property and the same will be his/her own. Monthly support of the spouse and children will still be required and determined by the court in legal separation. However, in annulment, only the support of children will be required, spousal support ends. 2. Around how much would each cost? Including lawyer fees, government fees, etc. 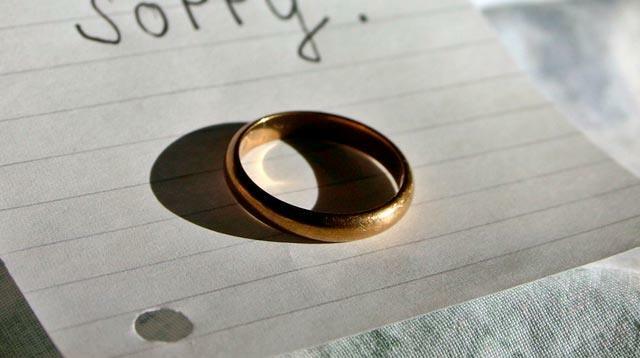 Legal separation may cost anywhere between P75,000 to P150,000. 3. Are payments usually spread out over time or only once the annulment is final? As a rule everything has to be paid upfront. Only the success fee of the lawyer may be paid at time of receipt of a favorable decision granting the annulment or legal separation. If the annulment is uncontested, which means that the other spouse does not present evidence, the proceedings can take [about] 18 to 26 months. If the annulment is contested, which means the other spouse actively participates in the proceedings, it may take 36 to 50 months. The delays may be caused by court (heavy docket of court, frequent postponements, presiding judge is on leave or has been promoted, vacant sala), by lawyers (unprepared, always unavailable to attend hearings), by parties themselves who are unavailable to attend hearings. 5. What determines if a couple will be granted an annulment? Annulment can only be granted under specific grounds under the Family Code, such as, those who at the time of their marriage were below 18 years old, those marriages not officiated by persons authorized to perform marriages, those marriages without the required marriage license, those polygamous and bigamous marriages; those contracted through mistake of one contracting party as to the identity of the other, those marriages wherein one or both parties was psychologically incapacitated at the time of the celebration of the marriage to comply with essential requirements of marriage, and finally, those whose marriages that have been annulled, either spouse may remarry therein provided that their decree of annulment has been registered with the proper civil registry and that the presumptive legitimes have been recorded in the proper registries of properties. 6. How does the presence of children affect an annulment? Children of annulled marriages under Article 36 (psychological incapacity) remain legitimate but in all other cases, the children become illegitimate children. 7. Are there ways to speed up the process? Before filing the petition in court, prepare all your documentary evidence (original and certifies true copies) including the psychiatric/psychological evaluation, if applicable. Also prepare the judicial affidavit of all your witnesses. 8. How does one find the right lawyer for an annulment? Do all firms have this service? If there is no lawyer in the family, ask family and friends. As a rule, most firms who are into litigation will offer annulment as one of its services. You may walk in or ask for an appointment. In this age of technology, you can always Google annulment lawyers or law firms in the Philippines.